It’s been well over half a century since Scotland first marketed single malt Scotch whisky to the world. Prior to that, the category didn’t really exist and although you could purchase bottles of single malt whisky quite freely, blended whisky completely and utterly dominated (it still does to an extent, but not nearly as much as it used to). The pioneer of the single malt category was, arguably, Sandy Grant Gordon, the great-grandson of William Grant, the founder of Glenfiddich. 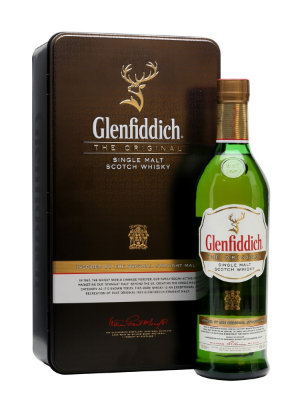 In 1963 he took a case of Glenfiddich ‘Straight Malt’ to New York, and the rest, as they say, is history. 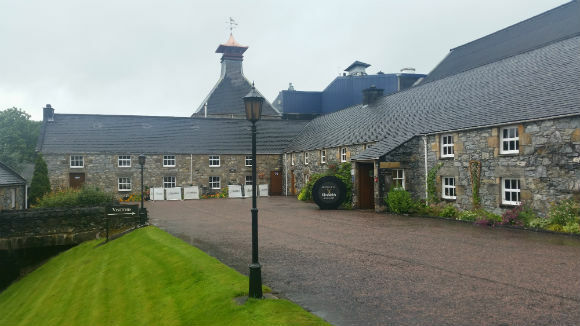 Glenfiddich quickly blazed a trail that many other single malt producers followed, and in doing so became one of the most popular brands of Scotch whisky in the world. In honour of Sandy Grant Gordon’s epic journey with the Straight Malt in the early 1960s, Brian Kinsman (current Glenfiddich Malt Master) has attempted to recreate this iconic whisky and has delved back into Hamish Robertson’s (Malt Master in 1963) notes from the time the Straight Malt was created. The end result? Glenfiddich Original. Nose: Light and grassy, with barley water, meringue, lemon and vanilla. Dominant cereal notes balanced with unripe banana and pear. Palate: A peppery spice initially, then coconut, custard creams, lime and malt biscuits. Finish: Quite short, with some tropical fruit, cask char and toasted malt. Overall: A little underwhelming, to be honest. It’s an easy drinking whisky but it doesn’t have the depth or complexity I was expecting from a nigh on £85 bottle. I appreciate the youngish liquid in the 1963 Straight Malt may well have tasted similar to that in The Original, but I can’t help feeling a trick was missed here somewhere along the way. This entry was posted	on Wednesday, November 18th, 2015 at 1:31 pm	and is filed under Reviews. You can follow any responses to this entry through the RSS 2.0 feed. Responses are currently closed, but you can trackback from your own site.